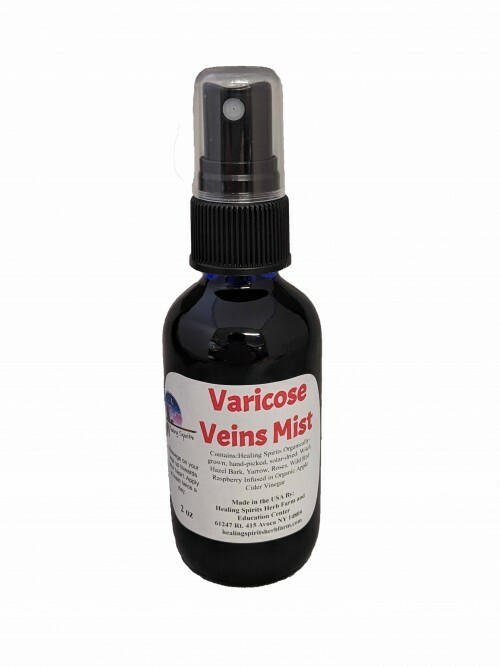 Traditionally used herbs that are helpful to relieve the discomfort of Varicose Veins. The herbs work to relieve pain and shrink swelling while helping to balance the skin tone. Spray on your legs and then massage up towards the heart. Contains: Healing Spirits Organically-Grown, Hand-Picked, Solar-Dried Witch Hazel Bark, Yarrow, Roses, Wild Red Raspberry infused in Organic Apple Cider Vinegar.